Everyone dreams of a wonderful holiday in Eilat, but many Israelis who have already stayed in hotels in the city are looking for another option, homey and unusual. It soon becomes apparent that the existing supply in the city is having difficulty in providing accommodation and accommodation at a very high level and at reasonable prices. 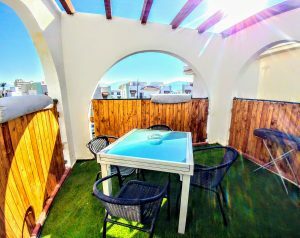 Therefore, you should know Yanis apartments, which are the perfect solution for vacations of any kind, from romantic vacation, through full families to a group of friends going out together. It is important to understand that there is a wide range of possibilities Accommodation in Eilat, In the eternal resort town, and when you look for another Hostels in Eilat Prices Different will appear before your eyes. However, alongside the costs, of course, one should also consider the quality, location, design and accessories of the apartment. Take for example the holiday apartment "Paros"A land house in a rare and quiet location outside the bustle of the city, but only a few minutes away from all the great attractions such as coral sanctuary and dolphin reef. If you've already registered on Google "Hostels in Eilat Prices"You have certainly received countless results, but all of them are part of the familiar Israeli product, so it is important to know that the Yanis apartments give you a different option of staying in the city in an atmosphere of overseas. Take the "sea"Whose name comes from the southern coastal city of Morocco, is also a private home, just like the" Paros "apartment, while Yam offers you a different vacation with an apartment designed in Moroccan style, where each room is characterized by a unique atmosphere. The North African people, enjoy all the amenities and amenities mentioned above, as well as 2 bathrooms with bath and 3 bedrooms, one of which is on the top floor and offers total privacy from the rest of the house. Want to hear more or book one of the Yanis apartments? Contact us today Through the site Or call 0526097906.